Salil Tripathi was born in Bombay, India, and lives in London. He is a contributing editor at Mint and at Caravan in India. In the UK, he was board member of English PEN from 2009 to 2013, and co-chaired PEN’s Writers-at-Risk Committee. In May 2015, he received the Red Ink award from the Mumbai Press Club for human rights journalism. In November 2011, he won a Bastiat Award in New York, and in 1994 in Hong Kong, he received a Citibank Pan Asia Journalism Awards for economic journalism. 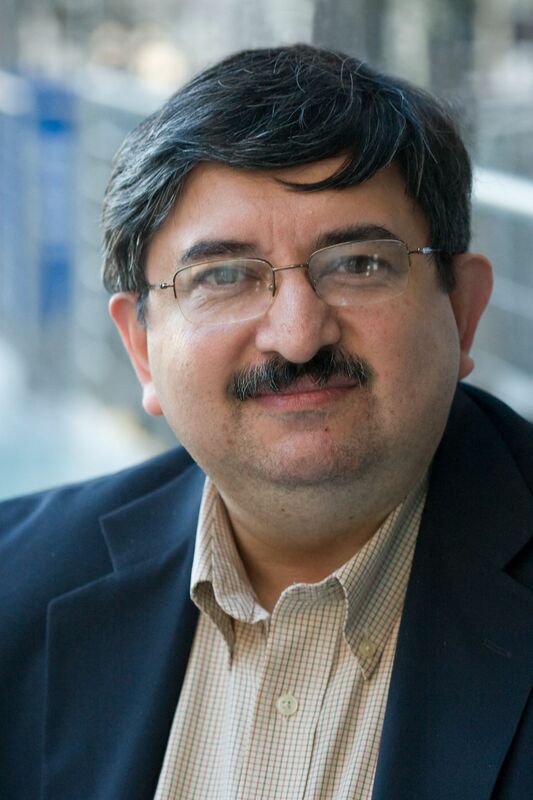 Salil has written for major newspapers around the world. He studied at the New Era School and later Sydenham College at the University of Bombay. In 1985 he obtained his Masters in Business Administration from the Amos Tuck School of Business Administration at Dartmouth College in the United States. His books include Offence: The Hindu Case (Seagull, 2009), The Colonel Who Would Not Repent: The Bangladesh War and its Unquiet Legacy (Aleph Book Company, 2014, and Yale University Press, 2016), and Detours: Songs of the Open Road (Westland, 2015). He is working on a book about Gujaratis. He has written several papers in academic journals and contributed chapters in books about business and human rights. I write because I like telling stories. If you ask the girls and boys who went to school with me of their oldest memories of me, they will probably tell you how I would tell stories to the class during times when a teacher was absent, when coursework was complete and there was spare–free–time, or on days when it rained outside and we weren’t able to go to the grounds to play. There was one particular story which I began in my fifth grade and completed it sometime at the end of the seventh grade. No I don’t remember much of it, except that it dealt with an androgynous James Bond who sometimes fooled villains by calling himself “Maria Rosenberg”. Alas, I don’t remember much else! But more seriously, I want to make sense of the world around us, and write about it clearly and simply, to understand the story, and to tell the story to others. If in the process it changes people’s minds, that would be great. 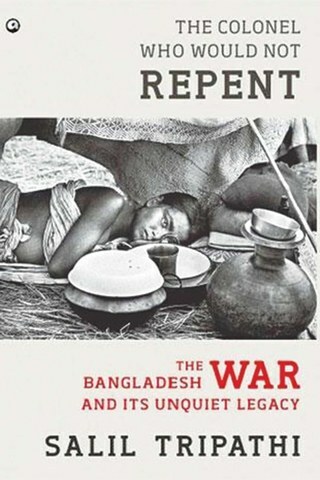 So I’ve had a book published already, which came out last year–The Colonel Who Would Not Repent–about the Bangladesh War of Independence of 1971, which was published in South Asia by Aleph Book Company in Nov 2014, and will be published worldwide by Yale University Press in early 2016. It is a straightforward narrative about the Bangladesh struggle and its aftermath, leading up to the current war crimes tribunals. I was a schoolboy when the war took place; I have memories of it, and wanted to capture the story. It has been read in India, Pakistan, and Bangladesh, and in each country, it has been well-received. Towards the end of this year, Westland will publish by collection of travel writing, called Detours: Songs of the Open Road. It has 30 essays about places from all continents, and recounts my experiences. Too often we have read travelogues where foreigners come and look at India–or Asia–and write about it. This is, in a sense, an Indian – or Asian – looking back at the world, and writing his experiences. The book is divided into three parts–the first deals with armed conflict or places with divisive politics; the second deals with places that have inspired great fiction or art; and the third is rather personal, about the places I visited with my late wife Karuna and my sons, or after her passing, when I went back to those places with my sons. That part is a personal reflection of life and loss. I’ve now started research on my next book, which is about Gujaratis. I am one; and I want to explore the meaning of being a Gujarati. It is perhaps too early for me to spell out what it will be. But I hope to be able to talk about it more in a few months. Aleph Book Company will publish it. What was it about the Bangladesh War that captured your attention? How has it contributed to the ongoing tension between India and Pakistan? I have vivid memories of the 1971 War. I was a schoolboy at that time in Bombay, and I remember reading newspaper headlines that spoke of the growing tension and crisis; I remember collecting funds for refugees; and if I look back with the hindsight of an adult, there was a rather clear moral narrative which appealed to me. In the elections, in East Pakistan, the Bengali-speaking people had voted for a particular government, and they were being denied the right to form the government by the governing elite in West Pakistan – the military and politicians of the Pakistan People’s Party, which thought it should have won the elections. But in a house of 300 seats, the PPP had only 81 seats; the Awami League had 160. And the Pakistani establishment responded by unleashing a massacre which soon turned into a reign of terror, full of crimes against humanity. If you are looking for good, clean narratives of international intervention for a good cause, this was it – India was justified in intervening when it did (in December after Pakistan attacked India), although the war and its outcome indeed suited Indian strategic interests. The conflict, and particularly Pakistan’s defeat and Bangladesh’s independence have certainly contributed to tensions between India and Pakistan, with a significant part of Pakistani establishment seeking some form of revenge. Pakistani people don’t share such a view necessarily, but the ruling establishment, cutting across party lines, seems to think that way. How was the book received in Bangladesh and Pakistan? Were the reactions different? Have the Bangladeshis forgiven the Pakistanis and have the Pakistanis showed any regrets for their misdeeds committed by their soldiers in the former East Pakistan? It has been very well received in all three countries that are important backdrops to the story – Bangladesh, Pakistan, and India. And the positive response in Pakistan has been pleasantly surprising, and it gives me reason for hope. In Bangladesh, those who have read it carefully seem delighted that the book presents an overall historical perspective, and doesn’t make the mistake that many Indians make, of seeing the nine-month war of liberation as a two-week conflict between India and Pakistan, with Bangladesh’s independence as an afterthought. Some Bangladeshi readers do have specific issues with the way pre-Partition history is dealt, but that’s fair; they’ve grown up with a different perspective, and they should see their history differently. The important thing is that I see the origin in 1905, when Bengal was divided during colonial times, and I therefore see a continuity in the great question Bangladesh continues to face – is it Bengali or Muslim, or both, and if so, how? Many readers wrote saying they were deeply affected by the fact that I wrote about issues that were usually not spoken about openly in Bangaldesh, such as sexual violence. I’m grateful for thoughtful responses and feel honoured that many Bangladeshis see the book as valuable contribution in Bangladesh’s collective memory. All I’ve done is to listen and tell the stories faithfully. I was particularly interested in responses in Pakistan, and I had gone to the Lahore Literature Festival, where I spoke about the book, and some in the audience were unhappy; one man walked out shouting loudly; some interrupted me and other speakers, and asked questions; but many more wanted to learn more about what was being done in their name by the Pakistani armed forces and the political leadership of that time. The fact that the response wasn’t hostile and monolithic, the fact that people have since written to me and shared their thoughts gives m reasons to hope that dreaming of another world is possible. Pakistanis too have been denied their own history; if my book helps raise some questions, it would have served some purpose. That’s a big word – it is what critics have to define! But as with many writers, the more I’ve written, the older I’ve become, the more important it is for me to write things more simply, and in a more accessible way. I do think the language matters. Being simple does not mean being boring. Hemingway is the master of beauty in simplicity. I also try to have a conversational tone–as if I’m in a constant conversation with an engaged reader, who may not have all the information, but who is intelligent and curious. I have written some unpublished fiction, and my approach is similar. I do like writing the occasional piece of satire, where it is possible, even necessary, to be clever. 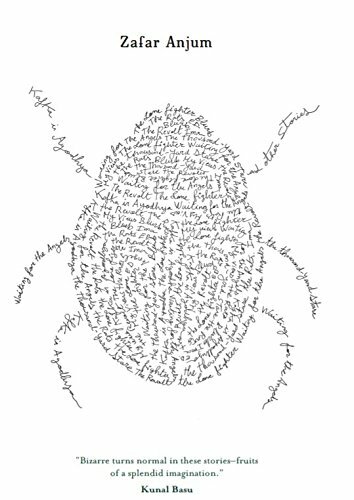 But like all delightful things, it is best done in small parts. Difficult question, again! But for fiction, I’d say Milan Kundera, Virginia Woolf, Gabriel Garcia Marquez, Salman Rushdie, Ian McEwan, Nadine Gordimer, Amitav Ghosh, Ernest Hemingway, Kamila Shamsie, and for short fiction, V.S. Pritchett, Raymond Carver, and Jhumpa Lahiri, and the poets Wendy Cope, Carol Ann Duffy, Ann Patchett, Ann Sexton, Sylvia Plath, Dom Moraes, Arun Kolatkar, Jibanananda Das, Suresh Joshi, and Robert Frost. I’m probably leaving out too many fine writers, and I’m being unfair to some of my friends by not naming them. For non-fiction it gets slightly complicated, because you end up naming authors whose views you might sympathise or agree with, but regardless, I’d unhesitatingly say Christopher Hitchens, Tony Judt, David Remnick, Nayantara Sahgal, Shobhaa De, Ramachandra Guha, and the early works of Arun Shourie. In The Colonel Who Would Not Repent, there is a chapter where I write about birangonas, as the women who were sexually abused during the war are now called. It has easily been the most challenging piece of writing I’ve had to deal with. 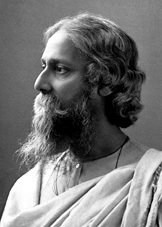 First, I am a man; second, I’m not a Bangladeshi; third, I’m not a native Bengali speaker, though I can speak it and understand it; fourth, the women were predominantly rural, from orthodox backgrounds; fifth, I was going to speak to them, offering nothing in return; and sixth, I had no ready answers for them about how they could get justice. And here I was, in a room with them, asking them extremely personal questions about their lives, and trying to record it faithfully and write about it. I’d urge readers to read that chapter, where I describe in some detail the metamorphosis I underwent, and how difficult it was for me to process that sensitive, painful experience. I managed it, and the only satisfaction I have is that scholars who have worked on the issue, as well as readers, have come back to me saying it is sensitively written and some felt they were haunted by it. I only wish the chapter could have a happier ending. Another challenging project is that I’ve been working on a novel set in Singapore for a long time. I lived in Singapore from 1991 to 1999, and was struck by the idea of how the two communities–Indian and Chinese–related to one another over the past century. There has been fiction about Singapore, but usually written by outsiders–J.G. Farrell, Paul Theroux, Anthony Burgess, and Somerset Maugham– all of which tends to take the imperial view of looking at the place as an expatriate would, where the Chinese, Indian, and Malay communities have walk-on parts. I’ve been working on a novel that looks at the situation from the other perspective. 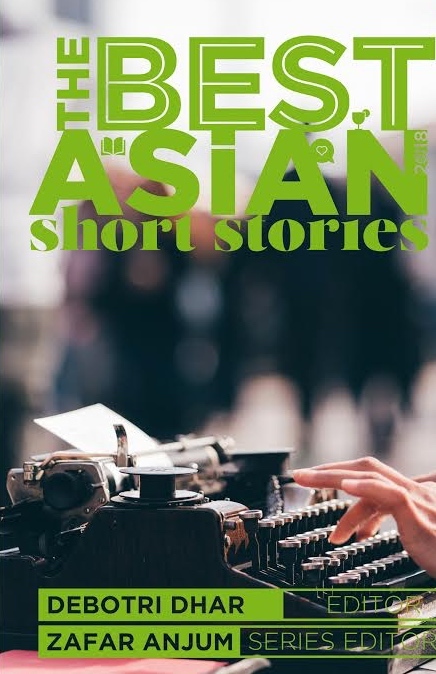 This is not to say there haven’t been fine novels by Singaporeans themselves–Philip Jeyaretnam, Gopal Baratham, Vivyanne Loh have all written interesting fiction, and Alfian Sa’at’s plays are relevant and fascinating. I have a clear idea of Singapore of the 90s, since I lived there, and I’ve researched at length the story of the 40s, when it was occupied. I’m still learning and figuring out Singapore of the 60s, so that I know what happens to my characters during their middle age! It will be some time before I’ve figured everything out. It remains a daunting project. Music, a nice glass of sauvignon blanc, cold temperature, a view of the mountains, a nice book in my hands, twilight hour, and contemplating what I’d cook later that evening – for my sons, if they are at home, or a friend who may be visiting. Bigotry. I do get really, really angry reading bigoted remarks by politicians, religious leaders, and other busybodies, who say things or pass laws that restrict personal freedoms. That, and the injustice that follows, and the violence which is an inevitable consequence, and our helplessness to do anything about it. This is never an easy question, so let me pick some books I’ve always meant to read and haven’t yet: In Search of Lost Time by Marcel Proust, Discovery of India by Jawaharlal Nehru, my friend Arshia Sattar’s translation of Ramayana, Cardus on Cricket by Neville Cardus, Flannery O’Connor’s The Complete Stories, and assuming that the boondocks has electricity, I’d take my Kindle and my charger, even if there’s no wi-fi, because it is full of at least a hundred books I am yet to read! Assuming my sons (and any loved ones staying with me then) are already out of the house safely, it would probably be letters and photographs of my parents and my late wife. Life is short – it is unfair and still very lovely; carpe diem. Posted in Authors and tagged Aleph Book Company, Bangladesh, Bangladesh War, Ernest Hemingway, India, Pakistan, Salil Tripathi, The Colonel Who Would Not Repent: The Bangladesh War and its Unquiet Legacy, Yale University Press. Bookmark the permalink.